You will find more than 600 pieces to combine and create all the apps you can imagine. 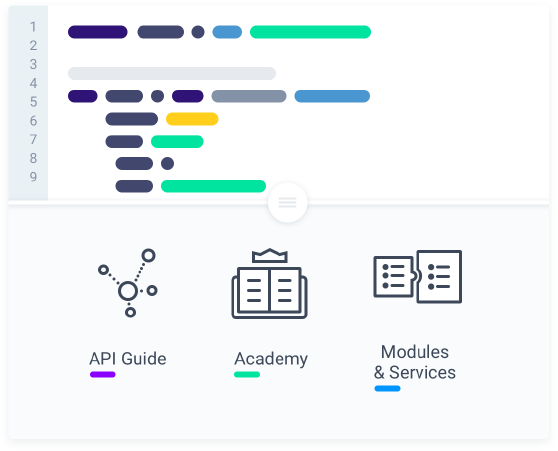 And if you don’t find the feature you were looking for, add any functionality, connect any API or edit what you want since you have free access to the code. We created King of App because every time that we wanted to create an app, the price was very high and many customers could not afford it. The solutions that we found were closed, they did not let us access the code, or customize the apps, or add new features. That’s why we created KOA, an Open Source solution that was born with the idea of being able to create apps with web tools and be able to reuse the code. In this way, the effort of a project is multiplied with the effect of the community. If you know how to make websites, you know how create apps. KOA enables you to create apps with the same technologies and the same tools that you make webs. 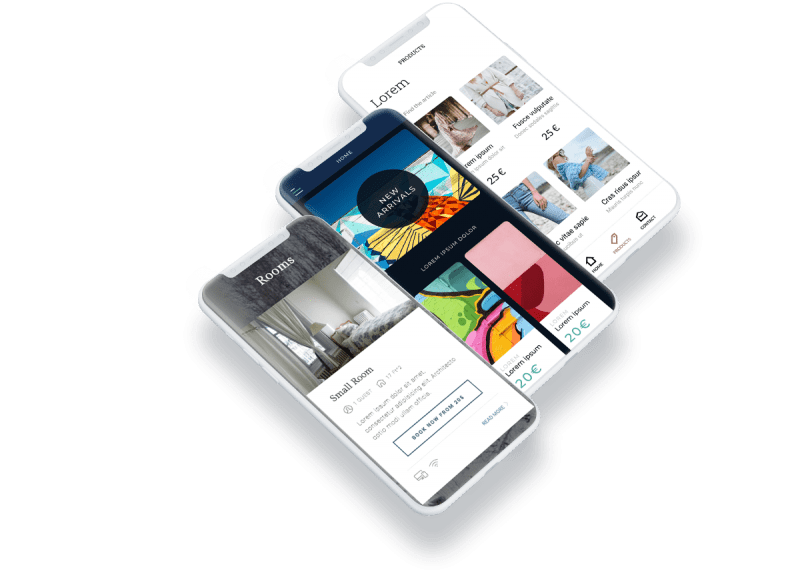 Developing apps is not the only business you can offer your clients: Mcommerce, ASO, engagement campaigns, some of the new products that you can offer in your portfolio. If you are selling software solutions and you need to create "branded" apps solutions for your customers, thanks to the integrations via Api you can offer it in a massive and easy way. In KOA you can find modules created to transform your web into an app quickly. You will import all the data in real time to optimize your work and make content management easier. CMS ideal for advanced ecommerce stores, since it allows customization in detail. It is one of the main platforms of Ecommerce since it does not require programming knowledge. Popular and easy blog manager, ideal to start managing content on the internet. King of App is an Open Source platform, designed for the community to create fully customizable mobile apps. That freedom generates many doubts, we have compiled the most frequent ones to help you always. And if you do not find your question remember that we have the chat ready to help you! How can I learn to do apps? All the content you will find 100% online, with pre-recorded classes that you will have access to if you sign up for the different courses. You can start and develop it at your own pace and reinforce or expand the contents learned in class! Can I create apps for iOS and Android? Yes, you can publish with your client’s id thanks to our publication system in both the Apple Store and the Android Store. Is it free to create an app? Creating an app in King of App is free, our business model is Freemium, in the builder there are free items and other payment, we strive to offer services that help you create an app more quickly. It is not necessary to know how to program to create an app, but if you have knowledge you will have free access to the code to create or modify everything you need. They had told you that selling on mobile was expensive, complicated, and you focused only on selling on the web? King of App makes it easy for you select the ecommerce platform you use and turn your business into mobile. After all this information you know that you can create apps! Do not wait any longer and start now! our programs to grow together. We have the perfect formula for you to start doing apps: Support + Training + Product, and special prices. Do you want to represent King of App in your territory? Associate and get unique and exclusive conditions. Be part of the family. If you have a large capacity for producing apps, we have special discount plans ready for your business. Do you know that the partners that are certified we give a special access to a project exchange? What are you waiting for to be certified?